Erin Wallace has had a terrific 2017 in road, track and cross country and that has been reflected across a series of awards ceremonies recently. And the Giffnock North AC athlete was a happy recipient once again at the SportsAid Scotland Merit Awards night in Edinburgh. Erin was one of five winners selected from all the sports who are supported by the SportsAid Scotland scheme. 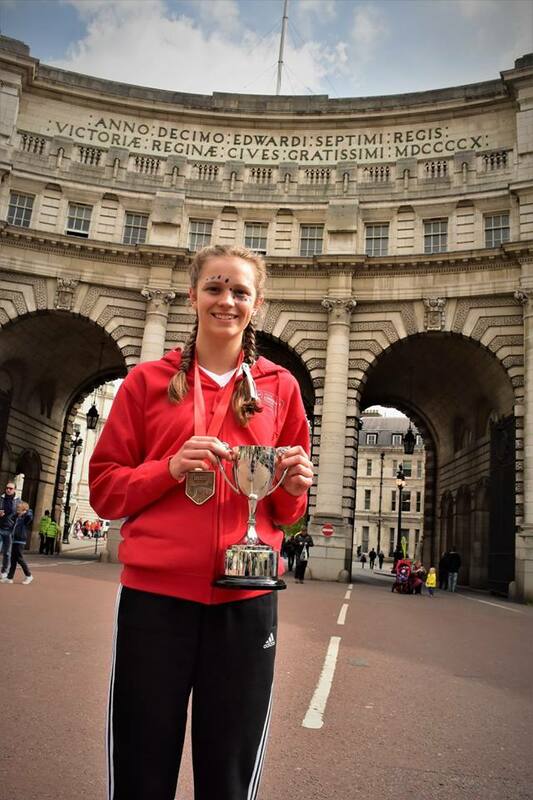 The 18-year-old received £250 and was one of the winners alongside Aedan Evans (shooting) – who won the overall award – Toni Shaw (paraswimming) – who won the best developing talent trophy – Aidan McHugh (tennis) and Charlie Aldridge (mountain biking). 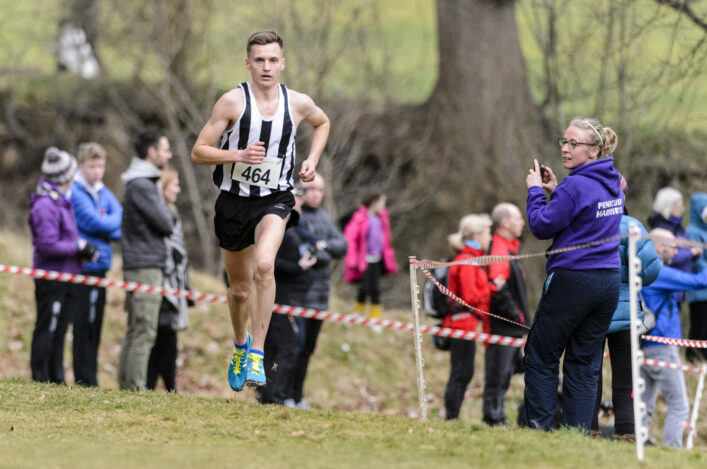 Athletics has a reputation for success at these awards and indeed Cameron Tindle won the overall award last year and Josh Kerr collected that accolade the year before. 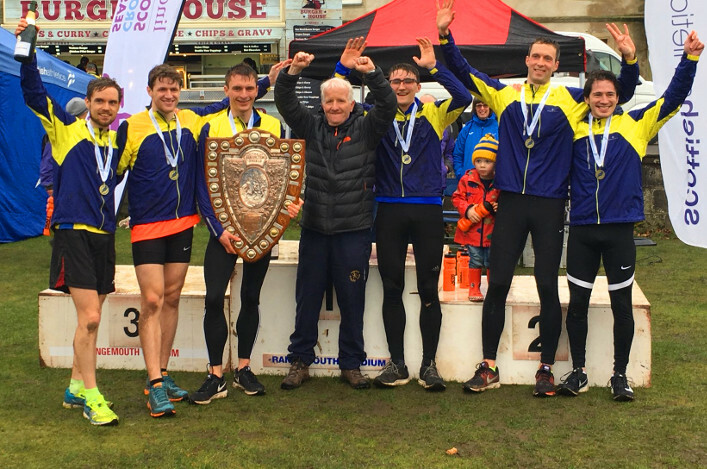 Erin, who is coached by Dudley Walker, won a GB vest in cross country at the Great Edinburgh XC in January and then won the London Mini Marathon road race April. 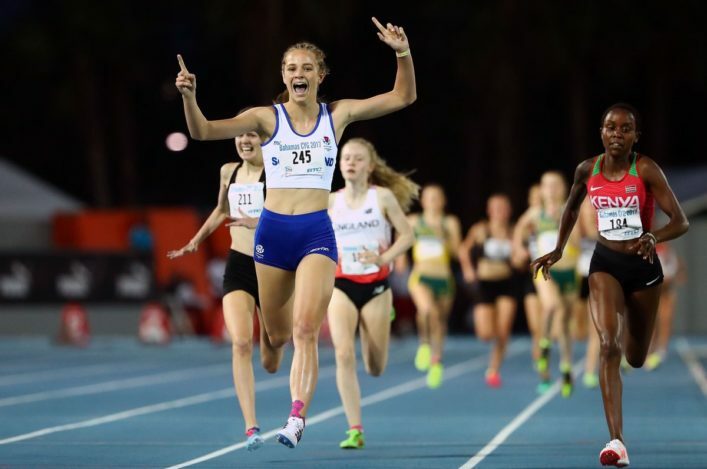 At the Commonwealth Youth Games in the Bahamas in the summer, Erin won gold in the 1,500m in a new personal best time which was Scotland’s only athletics medal and, two days later, she was sixth in the 800m. Then, in November, fifth place in the British Cross Challenge XC at Liverpool won her a place at the Euro Cross with GB and NI but unfortunately she was forced to withdraw a few days before the trip to Slovakia with an injury.